Galettes are sneaky. They may look complicated but are actually very easy to achieve. This was not only the first galette I had ever had, it was also the first galette I had ever made. 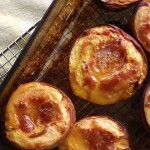 Galettes can be savory or sweet, but with peaches in season I couldn’t help myself. I made this for company earlier in the week and it exceeded everyone’s expectations. All that is needed with this dessert is a cup of coffee…and perhaps a dollop of whipped cream if so desired. In a bowl, gently toss together sliced peaches, vanilla, starch and sugar. Set aside in the refrigerator until ready. In a large bowl, whisk together flour, sugar and salt. Whisk in one egg until the mixture is crumbly. Add cold butter and shortening. Mix with hands until a soft dough begins to form. Add cream one teaspoon at a time - the amount of cream may vary. Form into a disk and wrap in plastic wrap and place in the freezer for about 2 hours. On a flat surface, flour a sheet of parchment paper. Roll out chilled dough into a circle about ¼-inch thick. Spoon peaches into the center and gently use the parchment paper to fold over the edges of the dough (this is a very delicate dough). Lift the parchment paper to transfer the galette onto a cookie sheet. Bake for about 25-30 minutes until the center is bubbling and the edges are golden. Transfer to a wire rack to cool. If desired serve with whipped cream. Make sure the dough is really chilled when you are ready to roll it out. Do not let it sit to rest. It may seem too solid to roll out, but this dough is actually very soft. I purposefully used Lubella flour for this recipe. Their flour is super fine, and when mixed with butter has a very nice texture. The crust almost resembles a shortbread. If however you cannot find Lubella, or do not have it on hand, all-purpose will do. I would love to make this but I have sworn off peaches! Just can't seem to pick good ones. What kind do you use for baking? Pinning this for when I find the perfect peach! I've never made nor eaten a galette before (well not a proper one anyway), but I'm sure I'd love it- and I really like the rustic look of galettes! :) Yours looks so good- especially the pastry! Love how the filling looks so juicy too! Wow, I am crazy hungry reading this post lol, YUM! This is so gorgeous! I can practically taste the sweet peaches and buttery crust. Pinning for sure! I love them! I don't do pies, so these are the next best thing! This would take me more than 35 minutes to make but it looks sooooooooooooooo good. I love eating galette. Flaky buttery pastry with sweet fruits are so perfect together. 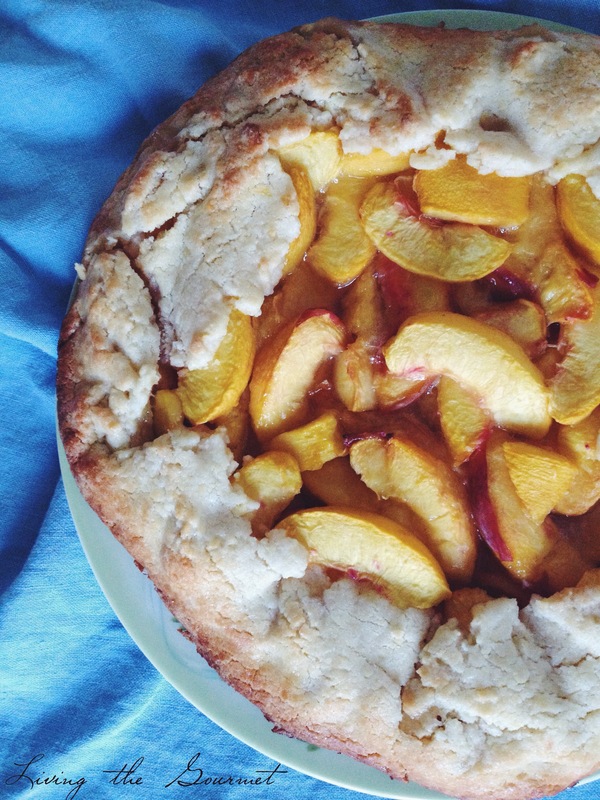 Your peach galette looks really good! Peach filling.. sounds and looks very nice! Oh my!!! I'm getting hungry right now. I found your recipe over at the Tuesday’s Table link party. I host Tickle My Tastebuds Tuesday and would love it if you would come over and share this recipe. I’m sure our party goers would love it! Here is the link http://bit.ly/1pVKnUd. Have a wonderful day! This looks amazing. I have a freezer full of fresh peaches. Thanks so much for sharing the steps through pictures. I made one of these last summer. So delicious and easy. 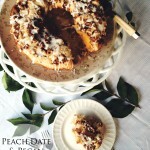 Now that peaches are around, I need to make it again. Thanks for the inspiration! 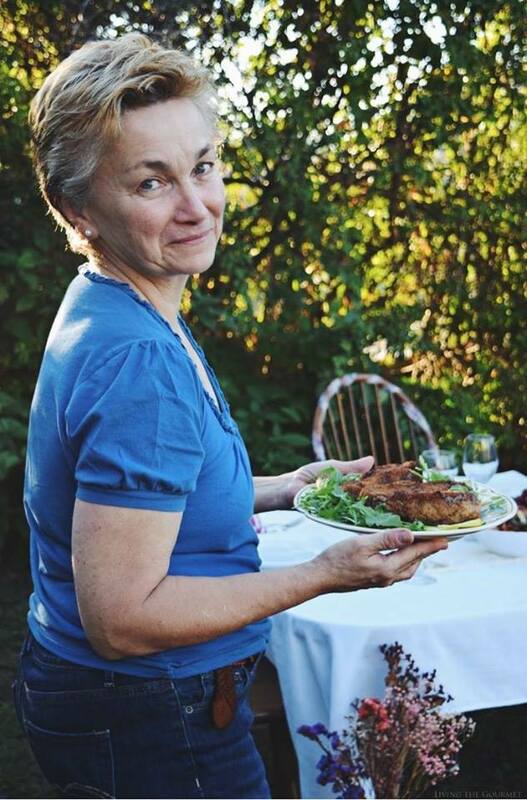 Tammy, don't you just love galettes? And I don't know if I've ever made a peach one! I must change that ASAP...I have a bowl full of ripe Georgia peaches on my counter! Yours is stunning. This looks super yummy! Thanks for sharing your recipe with us on the Monday Funday Party! I think the next pie I do, I will just do it as a galette. I love the rustic look and it definitely looks easy! I came over from Full Plate Thursday. Loving it! I'll be featuring it at the best of last weeks Betwitchin link party! Thanks again for linking up ! Tammy, your link up was the most clicked on the Merry Monday party and is featured in tonight's party. Tammy, this looks fantastic! I'm pinning, and may have to make this really soon! Your recipe is being featured today on Foodie Friday. Pinning and tweeting it this week too. I would love to dig into this! Haven't had much luck with peaches this year for eating as is (not very sweet or juicy), but they've been ok for baking. Thank you for the step by step on how to make one of these. I have seen written recipes, but the images help so much. I love to make galettes. I am never good and forming the perfect pie crust and this is the next best thing. 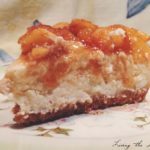 One more month until peach season is in full swing here in Texas.... filing this away and pinning... it looks delicious! Oh yum!! I love Galettes! They're my go-to when I want pie but I don't want do throw a fit while trying to fit crust into the dish ;) This looks SO yummy!! 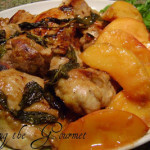 I have been seeing fresh peaches already in the grocery and your delicious recipe comes at a perfect time! I fancy it warm and then eaten with a dollop of vanilla ice cream on top! Heavenly! Pinned. This looks so sweet and refreshing....perfect for the summer days. 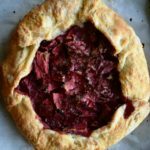 I have never made a galette and was wondering if rhubarb would be tasty in place of the peaches? Thanks so much for sharing with Roses of Inspiration. Happy weekend! These look wonderful! You share amazing recipes! Thank you again for partying with us at the Thursday Favorite Things Blog Hop! 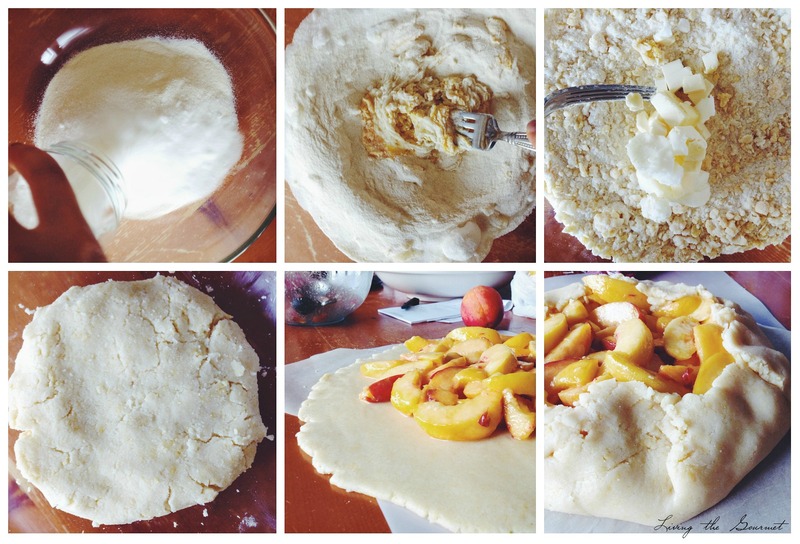 Peach galette looks delicious, I love rustic pastries a lot, thanks for sharing with Hearth and soul blog hop. pinning , tweeting and sharing in google plus. Tammy - Thanks for stopping by to see your feature at Tuesday Treasures! Another delicious looking recipe! What a great summer treat! Thanks for linking up with me for Friday Favorites. I'm featuring you this week. 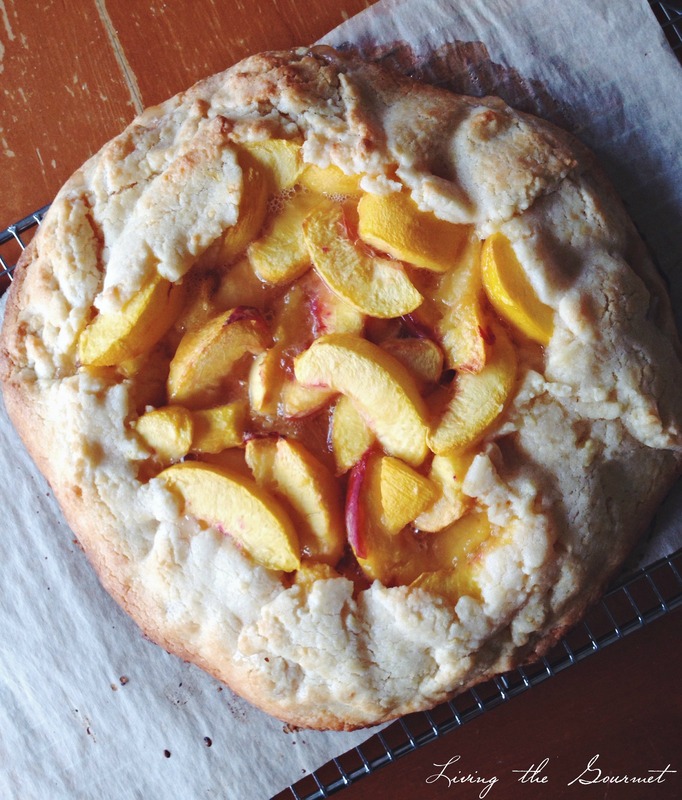 Your peach galette looks delicious! !